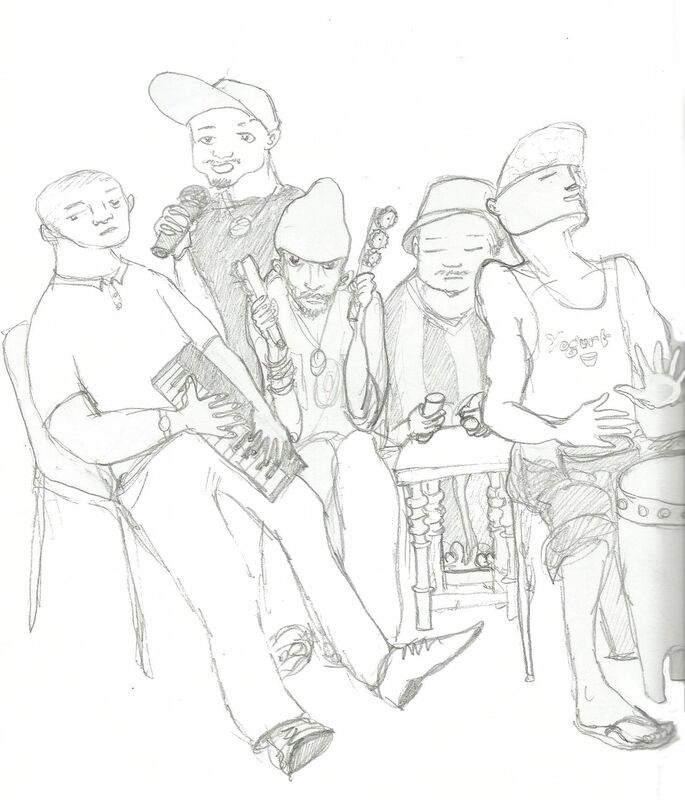 Seven Survivor is a Tanzanian band who play the urban music mchiriku. This is a sketch from a gig of theirs in November 2013. (Another famous mchiriku band is Jagwa Music.) Mchiriku is a frenetic genre based on high-octane staccato drumming. The rest of the instruments and the rapping seem almost secondary to the drumming, which sounds as if the drummer is on speed; or as if he’s anticipating the end of the world any second and is trying to fit in a lifetime of drumming into a few short minutes. The pace and intensity of the drums ebbs and flows but never falls below ‘feverish’. It’s a rhythm that you can only dance to by jumping up and down, but you’d have to do that very quickly – almost vibrating! – to keep pace with the drums. The band also featured a lethargic mini-Casio keyboard player; a rapper (the lyrics are political and worth getting into), another percussionist using sturdy sticks on a small coffee table, and a guy shaking home-made maracas made with nailed-together bottle tops. Here’s a link to one of their gigs. And the main man – the drummer – was in some sort of trance with his head thrown as far back as possible. You’d need to really be at one with the flow to manage to keep that level of intensity going for hours.